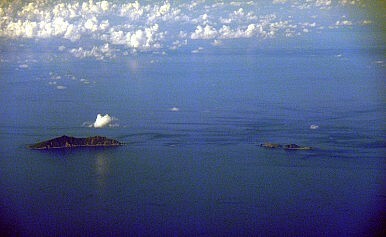 Tempers are flaring over islands claimed by Japan and China. Beijing has turned to a familiar strategy. China is evidently trying to replicate its “small–stick diplomacy” in the East China Sea. Seldom submerged by far, the Senkakus/Diaoyus imbroglio resurfaced with a vengeance last Friday when six ships from China’s State Oceanic Administration cruised near the disputed islets. China’s Foreign Ministry announced that the ships were on scene to prosecute “law enforcement over [China’s] maritime rights.” When queried by nearby Japan Coast Guard units over bridge-to-bridge radio, Chinese officers replied that they were “engaged in regular patrol duties.” And that’s the crux of the matter, isn’t it? Beijing hopes to make a Chinese maritime presence in the archipelago a matter of course—a matter of a government enforcing its laws on sovereign territory. Over time, opposing its claims to jurisdiction would come to appear lawless, outlandish, and, perhaps, not worth the costs and trouble. China would win by default—and without resorting to arms. As in the South China Sea, unarmed or lightly armed law-enforcement vessels constitute the chief bearers of Beijing’s maritime territorial claims. Naval and military force remains in reserve over the horizon, supplying an unseen big stick to overawe or coerce balky opponents. Will such methods work against a capable opponent allied to the United States? Maybe, but I have my doubts. Unlike the Philippines, whose capacity to defy Chinese blandishments is trivial, Japan boasts a capable Coast Guard and Maritime Self-Defense Force. It too can brandish a big stick to back up its policies. And with the Obama administration seemingly committed to the Senkakus’ defense, Tokyo enjoys support unavailable to Manila or other Southeast Asian governments. Which may be why the State Oceanic Administration vessels withdrew from the Senkakus a few hours after the Japan Coast Guard challenged them, rather than tarrying as Chinese enforcement ships have at Scarborough Shoal. Wearying Japan into acquiescence will be a long, drawn-out project with uncertain prospects of success. Beijing doubtless understands that. The good news is that Chinese leaders evince little desire to break the impasse by force. Few governments relish a trial of arms, with all the hazards and unintended consequences violent clashes of human wills entail. The bad news is that intermittent tests of Japanese resolve probably lie in store in the East China Sea. In all likelihood, last Friday’s encounter represents part of East Asia’s new normal. Fortitude will be a must. Tokyo must bulk up its own big stick if it wants to uphold its interests. Reinvigorating the JCG, the JMSDF, and shore-based arms of sea power would be a good start. That will require the Japanese electorate and their leaders to make the conscious political choice to lift their unofficial cap on defense spending, which has long stood at 1 percent of GDP. That’s not a serious commitment. Such spending levels befit nations whose surroundings are wholly benign, not those inhabiting tough neighborhoods like the Far East. Breaking the 1 percent barrier would augment Japan’s wherewithal to support diplomacy. It would also ameliorate American concerns about appearing to be the main protector of uninhabited islets of no obvious importance to the United States—yet whose defense could prove perilous indeed. Security treaties are fine things. But foreign allies help those who are willing to help themselves.